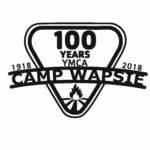 Under the direction of the Summer Camp Director, the Senior Counselor is responsible for supervising a cabin of twelve campers, and providing an excellent experience at Camp Wapsie. Live with and supervise the activities of twelve campers at all times. Check to see that the camper’s are getting their medication correctly and per schedule. Plan and lead a designated meal program weekly. Participate in all of the courses, activities, and planning sessions during the week of pre camp. Plans, with a committee, one world service activity and one special day. Teach and direct an assigned Junior Counselor and Leadership campers, mostly by being a strong role model. Lead an activity area or be an assistant in that area and be responsible for all equipment. Responsible for the cleanliness of the living area, grounds around it, and the activity area. Lifeguard in the pool guard rotation when assigned. Write all necessary evals including evals for campers that are old enough to come back as LITs. Program activities for your campers during cabin activity times. To create and maintain a harmonious, positive working relationship with fellow staff, YMCA Camp Wapsie campers, parents and participants. Must possess a strong knowledge of a specific activity area.